To secure a good deal on a pre-owned vehicle, several things must fall into place at the same time. 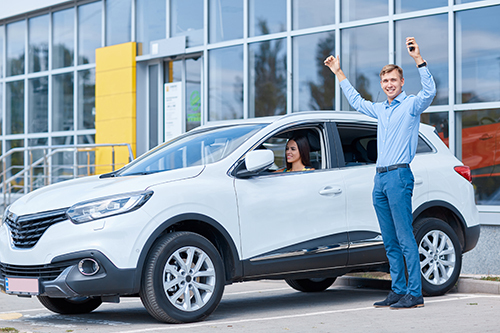 You need to locate an auto that meets your specific requirements, it should be priced to sell at a reliable dealer and the dealership should offer options for a variety of car loans in Mukilteo. In addition, you should review the extra costs that accompany this purchase, including fuel, repairs, maintenance and auto insurance. The down payment is the money you pay out-of-pocket when you begin the loan process. It is often a percentage of the purchase price. The larger the better. Sometimes you can trade in a vehicle and use the amount paid for it as a portion (or all) of your down payment. The loan term is the length of the loan and is typically 36-60 months or longer. The annual percentage rate or APR is the most critical factor when you finance. Getting the lowest possible APR is in your best interest. Finance charges are included in your loan. This is the money the lender charges to offer you financing. Extra fees and penalties, if any, are included in your contract. It is important to read the document very carefully and ask for an explanation of anything you do not completely understand. Begin your search for a pre-owned vehicle and let Carson Cars help you with the paperwork for affordable car loans in Mukilteo. Call us at (855)583-9356.